I won't lie to you Byrn, it's been tricky. Black Friday tried extremely hard to knock me off my high horse, as have Zara Home and H&M home with their increasingly adorable bits and bobs at crazy cheeky prices. But I have stayed strong and in fact I have been bowled over with the sheer number of independents this year doing ridiculously amazing things with their hands and minds this yuletide. So much so that I have been inspired to create the 18 days of independent Christmas (not 24 - cos #deliverytimes) bringing you the lovely British public one independent gift a day for you to delight your loved ones with and support the little guys in the process. And because there were three wise kings we shall group this advent in trios in their honour, for our first addition. So who's in Days 1, 2 & 3? 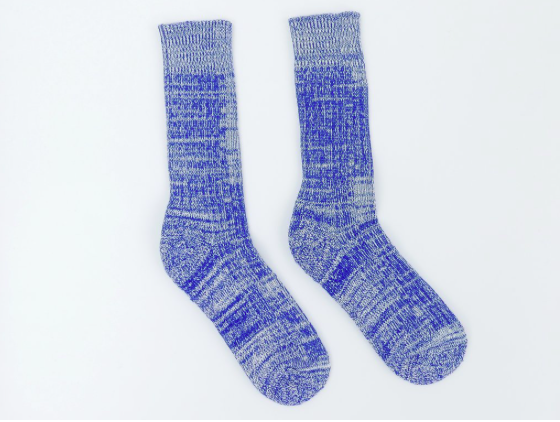 Because socks. Are a Christmas staple. I must commence this advent calendar with a humble pair of woollen wonderfulness. And unlike Rachel in graphic design, please don't buy yours from Primark. These lush softies are inspired by the stunning Pennines and manufactured in Leicestershire using the highest standard wools and cotton. Get a pair for your brother. Because who says Christmas is all about polar bears and elves. Coat hooks may not strike you as the sexiest gift. 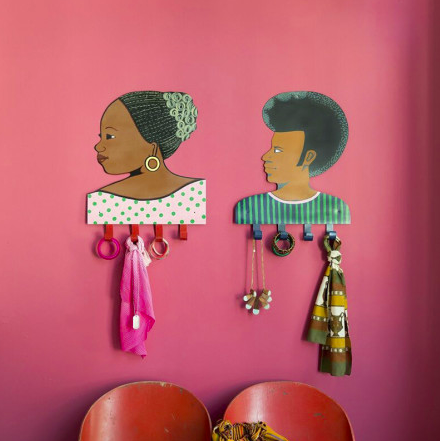 However these functional pieces of art, inspired by West-African hairdressers' shop signs are a lesson in style meets substance. Get one for your clutter-prone pal. Because these Ravishing Beauties are the answer to your Secret Santa. Created by Florence Fig, both the Flower Fields Blue Tassel Pair and Gold Hammered Dangle Earrings are ideal for those of us who want to give unique, heartfelt, handmade gifts without breaking the bank. Oliver Bonas eat your heart out.